Sustainability, environmental protection, carbon footprint… Long before these words became “hot topics,” one jewellery company had taken them quite to heart. For Branellec, an avowed environmentalist, having the smallest carbon footprint is not only good for the environment, it is also good for business. And, Jewelmer’s business is the rare and exquisite golden pearl, whose natural rich colour is as dazzling as it is unique—and found only in South Sea pearls produced in the Philippines. It took the company decades of research and biotechnology to perfect the breeding process that produces gold-lipped Pinctada maxima pearl oysters capable of growing large, lustrous, golden pearls, once they found the perfect location. Its pearl farms, laboratories, and workshops are situated on one of the remote islands of Palawan, known for its pristine waters, with flora and fauna found nowhere else. On land, Jewelmer also minimizes its carbon footprint by using solar energy to power the farm’s freezers, lights, and pumps. It also uses coco diesel (extracted from coconut oil), a renewable and biodegradable diesel fuel, in its diesel engines. 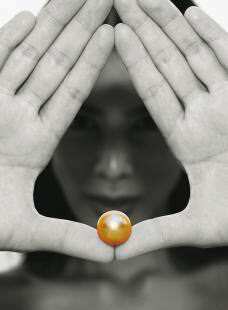 “We spare no effort in nurturing our golden pearls,” insists Branellec. 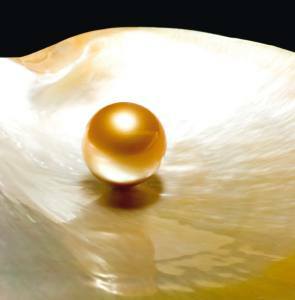 “Every time we see a golden pearl, we see the promise of a clean environment that we want to work for as well as protect.” And see them he does—adorning woman around the world, who increasingly recognize the beauty and lustre of each of these remarkable living gems. A strand of the brand’s matched pearls evokes a stream of liquid gold flowing around a graceful neck. Rings, earrings, and bracelets of these golden orbs offer a warm glow to complement any complexion. Jewelmer’s exquisite designs are even more precious when we realize that they have a very light carbon footprint.